4 Creative writing ‘keep writing’ workshops in Bath Library – Sold out Please email in case of a cancellation. Venue: Bath Library. March 14th, 21st,28th and April 4th 2019 Thursdays 10.30-12.30pm Cost: £74 No refunds but if unable to come you are welcome to send a friend. Sorry, sold out now. Please email if you would like to be on a waiting list in case of a cancellation. 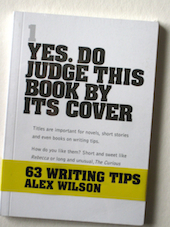 Alex and guest authors will lead the two-hour workshops which will focus on getting you writing and keeping you writing. These workshops are suitable for anyone planning or writing a novel, short stories or a memoir. Plenty of hands-on writing exercises to fire the imagination, motivate you and expand your word power as well as tips and information. Guest authors will bring their particular expertise to the sessions. So, if you enjoy meeting other writers, love writing and are free on Thursday mornings, please book. Beginners and experienced writers welcome. This entry was posted in Events, Writing Events on January 30, 2019 by Editor.